NOTE: This same style is available in other lengths – Extra Short Mini: 12in;; Standard Mini: 15in (click on the links to see each one). 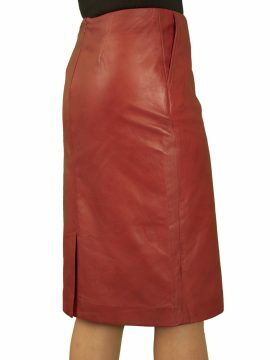 An elegant black leather pencil skirt in an above knee length made in super soft lambskin. It is beautifully tailored in a classic, chic style for a stylish, figure-hugging fit, tapering subtly in from the hips to the hem. 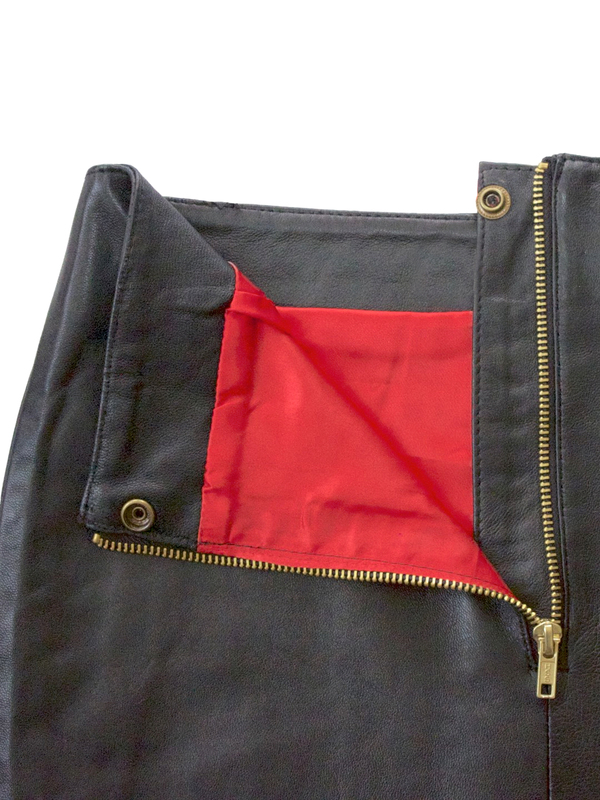 The beautiful red satin lining adds an extra touch of luxury. Easy to combine with different accessories for any occasion, smart or more casual and vintage outfits.